There was a story Jahir used to tell me. About how the first humans were born with wings. Can you imagine what that would be like? To fly anywhere in the world without worrying about having the right papers? Mico has left his family, his home, his future. 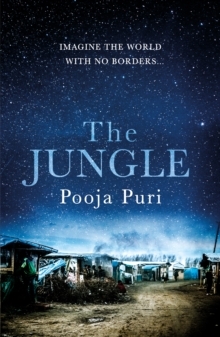 Setting out in search of a better life, he instead finds himself navigating one of the world's most inhospitable environments - the Jungle. For Mico, just one of many 'unaccompanied children', the Calais refugee camp has a wildness, a brutality all of its own. 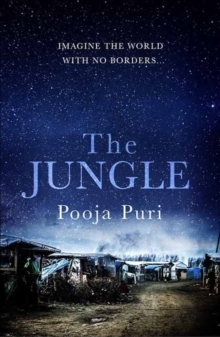 A melting pot of characters, cultures, and stories, the Jungle often seems like its own strange world. But despite his ambitions to escape, Mico is unable to buy his way out from the 'Ghost Men' - the dangerous men with magic who can cross borders unnoticed. Alone, desperate, and running out of options, the idea of jumping onto a speeding train to the UK begins to feel worryingly appealing. But when Leila arrives at the camp one day, everything starts to change. Outspoken, gutsy, and fearless, she shows Mico that hope and friendship can grow in the most unusual places, and maybe, just maybe, they'll show you the way out as well.